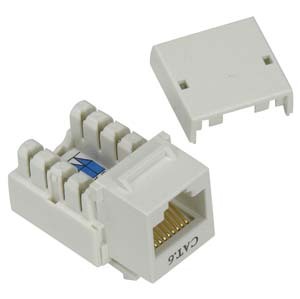 CAT6 RJ45 keystone jack 110 type white colorCAT6 RJ45 keystone jack 110 type blue color. Supporting up to Gigabit Ethernet applications. Exceed TIA/EIA Category 6 performance standards. 50 micron gold plated contact pin.